Want a Fireplace in Your Hotel Room? These Boston Hotels Deliver! Boston hotels with fireplaces in guest rooms give you a special treat during winter months when you'll love the cozy, romantic ambiance. 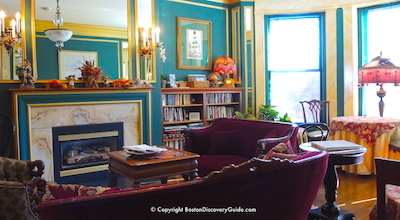 Only a few Boston hotels offer real fireplaces in their rooms and suites - a true luxury, especially as winters here can get chilly (ok, cold). And, just as the temperature drops and fireplaces seem especially appealing, low winter hotel rates kick in - so you can often find bargains and specials. 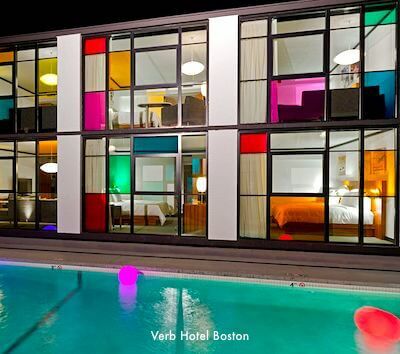 It's like getting the best Boston hotels on sale, with a fireplace as a bonus. 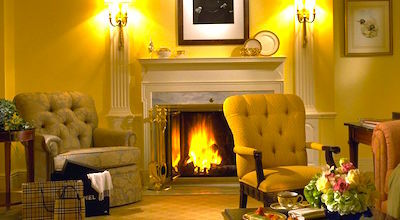 Only two luxury boutique properties, Gryphon House and Fifteen Beacon Hotel, boast fireplaces in every room and suite. At the other hotels, be sure to request a room with a fireplace when you make your reservations. 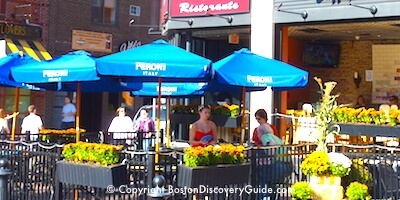 Here's a quick tour of Boston hotels with fireplaces, along with a bit about what else makes each one special. All 62 rooms and suites at Fifteen Beacon, a luxury boutique hotel in a historic section of downtown next to Beacon Hill, feature gorgeous gas fireplaces. Decor here is sleek and contemporary, and the handsome black and stainless fireplaces add to the sophisticated ambiance. You'll find many more luxury touches at your command: top-of-the-line Frette linens, complimentary WiFi, flat screen televisions, and even complimentary in-town car service - if you can bear to leave your luxurious room. 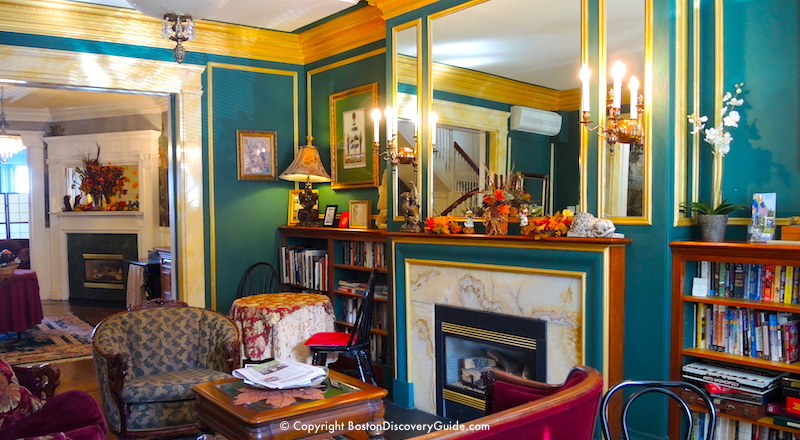 Every suite in Gryphon House, a luxurious inn/B&B in Back Bay occupying a spectacular Victorian-era brownstone mansion overlooking the Charles River, offers gas log fireplaces with beautiful original marble or carved wood mantles. The grand curving staircase under a skylight, panoramic "El Dorado" wallpaper murals by Zuber & Cie, crystal chandeliers, ornate millwork, a gorgeous onyx fireplace in the comfortable book-filled lobby - all original to the 1895 home - let you experience the feeling of living in one of Boston's gilded mansions 100+ years ago. To make you feel even more at home, a delicious continental breakfast is served, and fruit, coffee, hot chocolate, and tea are available all day. Gryphon House's location near Newbury Street boutiques, Copley Square, and Fenway Park puts you in a great location to explore Boston - but with a fireplace, comfortable seating, and wet bar with refrigerator (perfect for chilling a bottle of champagne) in your spacious suite, you may feel no desire to venture out. 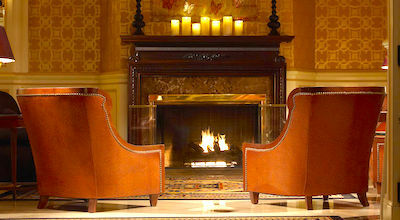 The Lenox, a family-owned Boston luxury hotel in Back Bay, offers wood-burning fireplaces in many of the c214 rooms. Gracious furnishings such as brass chandeliers, crystal lamps, and comfortable chairs give you the perfect incentive to settle down in front of the fire, perhaps with a good book and glass of wine. Although the Lenox provides hybrid car service and is also in a superb location for walking, you may prefer to stay in and enjoy your comfortable room. Stately gas fireplaces grace some of the rooms in the Bostonian Boston Hotel, located near Faneuil Marketplace in Downtown Boston. The pleasure of coming back to your hotel room after a stroll through nearby Faneuil Marketplace or the North End on a cold winter day and settling into a comfortable chair in front of your cozy fire can't be beat! Other luxury furnishings such as pillow-top beds and Frette linens add to your comfort. Be sure to request a fireplace when you make your hotel reservations to avoid disappointment. 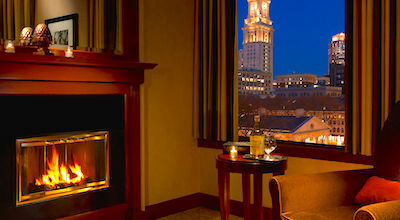 Only some of the 273 guestrooms and suites in the luxurious Taj Boston Hotel have wood-burning fireplaces, so to make sure you get one, book early. A Fireplace Butler tends to the fire, so all you have to do is place your order from the Firewood Menu, relax in the plush upholstered chairs, and enjoy the blazing fire. Check for the "Fireside Suite Package" - includes a suite with a fireplaces, services of the Fireplace Butler, and a $50 room service credit so that you can enjoy a special meal in front of your fire. You may never leave your suite! All one and two bedroom suites at The Inn @ St Botolph have gas fireplaces. 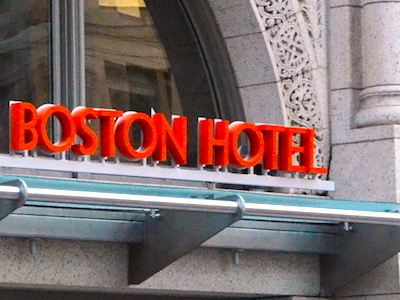 Sister hotel to the luxurious XV Beacon, The Inn @ St Botolph's location on a quite residential street just one block from Huntington Ave puts it across from Prudential Center and close to Symphony Hall and the Museum of Fine Arts - all perfect destinations for crisp winter weather. 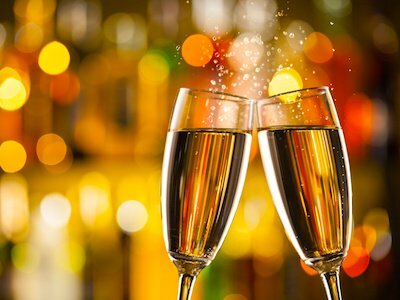 You'll enjoy returning to your suite after the day's activities, sitting by the fire, and perhaps enjoying a cup of hot chocolate or a glass of champagne. 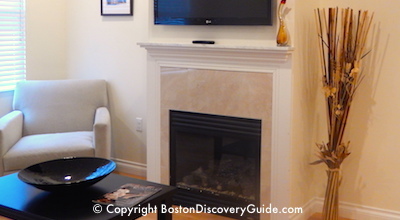 Nestled in the heart of Boston's North End, Bricco Suites includes sleek in-wall fireplaces surrounded by comfortable seating in most of its light-filled studios and suites. 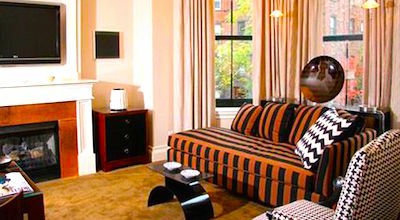 Without a traditional lobby or check-in staff, Bricco Suites gives you an experience that is more akin to having your own Boston apartment than staying in a hotel - although the manager will provide you with a personal assistant if you need help in planning your visit, making reservations, etc. You'll like Bricco Suites' location close to Faneuil Hall Marketplace, TD Garden, the New England Aquarium, the Greenway, and the Waterfront. But even better, you'll enjoy being so close to all the mouth-watering bakeries, cafes, salumerias, and excellent Italian restaurants.